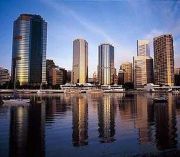 Welcome to the new Brisbane Scrum/Agile user group. With the high level of pressures and complexity that we are facing, as an IT industry, we have to structure our approach and connect the dots using the best standards and the best practices. As I spend a lot of time discussing about ALM (Application Lifecycle Management) here is Australia, I really appreciate to see such initiative around methodology. Please remember that SDLC (Software Development Lifecycle) is a subset of ALM, focusing on the build phase (when we create or update the application with the most efficient way). The methodology is the glue that links the activities in this SDLC phase of the ALM. And contact me if you would like to chat around the ALM vision.